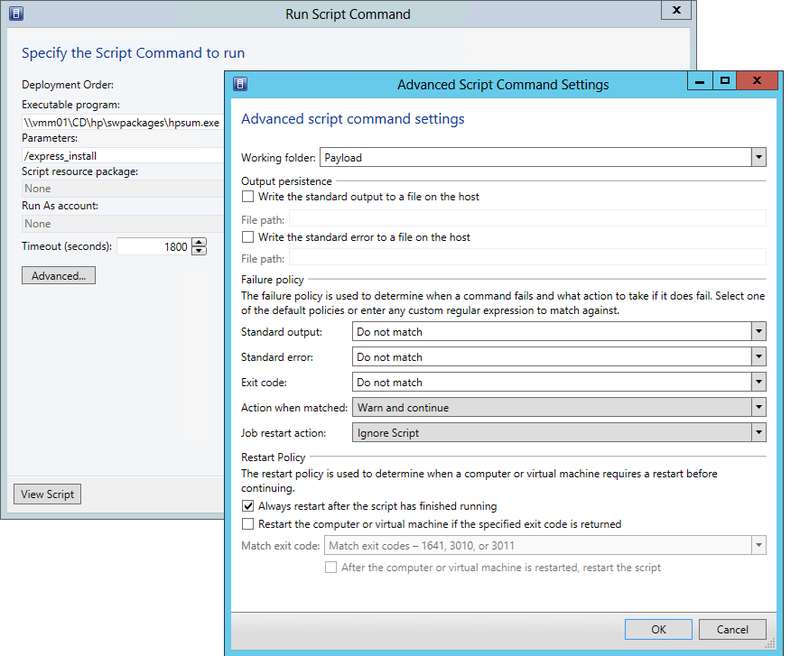 Yes, I know, there other methods to deploy applications, but sometimes it make sense to use SCVMM to deploy applications to the host machines that you manage. 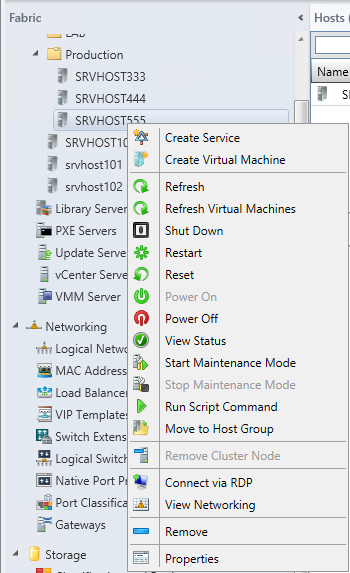 If we look on this from a new and more modern way, SCVMM will be the System Center member that does the deployment of the “only” needed physical machines, that is the Hyper-V hosts and the fileservers used to store the VHDx files over the the SMB network, maybe there is no Configuration Manager Server in this datacenter for any reason. In this case we are going to deploy the HP Service Pack to our hosts since we need that to be able to monitor correctly using OpsMgr (When using an Agent) amongst many things. The Application can be “pushed” from a central location but in this case we are going to run the application locally on each and every server and reboot it if needed. The Command to make a silent express install is HPSUM.exe /express_install and you download the Service Pack for the Proliant servers from HP.com (https://h20392.www2.hp.com/portal/swdepot/displayProductInfo.do?productNumber=HPICE#Download). After downloading the ISO, mount and extract and share the folder so it is accessible to all your hosts. Step Number Three – Execute! The hpsum.exe detects the version of windows as 6.2 (and that is correct), but even if HP claims that is supported, the HPSUM.exe does not have the same opinion :-). Hopefully HP will fix this later. The Ultimate Event, Sweden, October–Do not Miss this! This looks like a nice way to automate hpsum to install all the required drivers and packages on an HP host. The one question I have is around getting all of the packages, I find that when you use hpsum on a recently deployed host you usually need to run it, reboot and then run it one more time because all of the packages did not get installed the first time around. 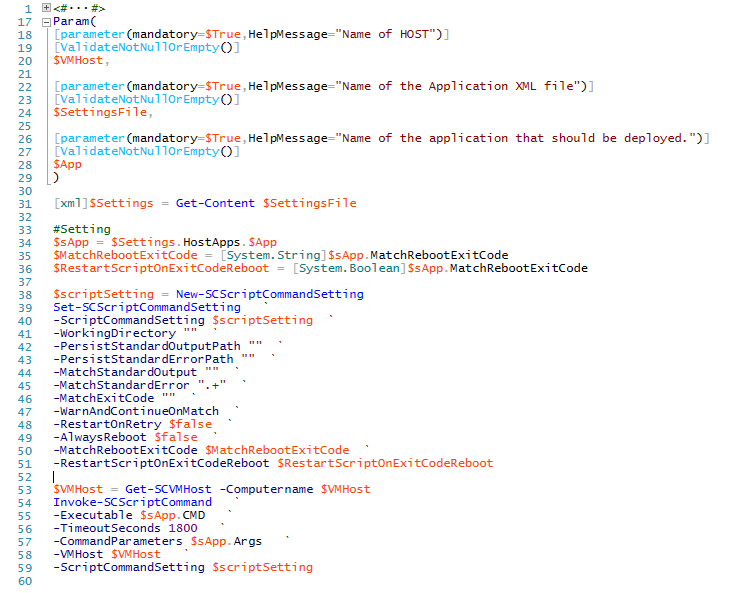 I notice that in your Apps.xml file there is an option for RestartScriptOnExitCodeReboot, if this was set to true would it restart the script once the host reboots and keep doing so until hpsum doesnt come back with a reboot exit code? This way all drivers / packages / firmware would get installed if it required a couple of passes. Yes, that should work, but the most common reason for the “update x2 or more” issue is that in the first run there is drivers missing, like ILO or similar. So by making sure all the drivers that really means something, Storage, Nic, ILO and such gets injected during the deploy, you only need to run it once. I will look into having these drivers inside of the VMM Library so it injects via Plug N Play ID’s during the deployment of the host. Hopefully that will help us out so we dont have to run it twice.